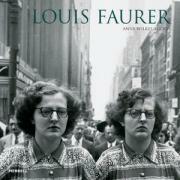 The first major study of the work of Louis Faurer, known for his raw, melancholy and psychologically charged photographs of life on the street, and in particular for his evocative shots of Times Square in the 1940s and 1950s. Anne Wilkes Tucker is a photographic historian, critic and lecturer, based at the Museum of Fine Arts, Houston. She is the founder of the museum's photography department, which now houses a collection of more than 12,000 photographs, and, since 1984, has been Gus and Lyndall Wortham Curator of Photography. The curator of more than 40 exhibitions, including retrospectives for Ray K. Metzker, Robert Frank, Richard Misrach and Brassaï, she is the author of several catalogues and books, including Crimes and Splendors: The Desert Cantos of Richard Misrach (1996) and Brassaï: The Eye of Paris (1999), and the editor of such titles as Czech Modernism: 1900–1945 (1990). In 2001 she was named America's Best Curator by Time magazine.